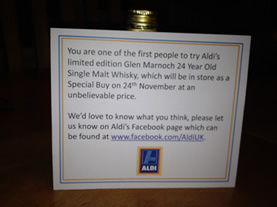 On Thursday 24th November, Aldi will be launching their newest Single Malt, There will be only 3000 bottles of this dram, so everyone has to be sharp and get in there early. The Whisky Boys were sent a sample from Jessica Shepherd from Weber Shandwick for us to taste and review, and tonight was the night we opened the bottle and had a wee dram of this 24 year old. Glen Marnoch 24 Year Old Single Malt Whisky, 40% Alc/vol 70cl. Nose…Spring morning dew dusted in icing sugar. Taste…A tropical orchard, vanilla ice cream, very sugary sweet. Finish…Medium finish but very smooth. Nose…Loads of fruit, exotic fruit. Vanilla and wood. Taste…Starts off with a big sweetness then in comes the oak and vanilla, a wee touch of lime marmalade, but very smooth and elegant. Finish…Gives my palate and tongue a wee spicy tingle, this all helps to leave you with a delightful and delicious warmth. Well both the Whisky Boys agreed that this fine dram would make the ideal aperitif and for less than £30.00 this is one to share with all your family, neighbours and friends. 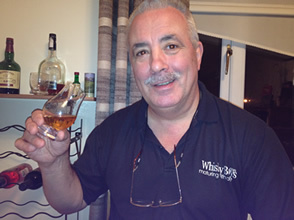 The Whisky Boys will certainly be at Aldi’s door on the 24th to hopefully obtain a bottle or two, one too keep and one to share. If you require any additional information you can contact Aldi Press Office on 0161 238 9427 or email them at aldi@webershandwick.com. As usual if you manage to get yourself a bottle let them know at Aldi that the Whisky Boys sent you. I’ve just bought a bottle of 18yr old single malt from lidl and would love to know which distillery it is from. Any ideas chaps? I reckon the Glen Marnoch is almost certainly Glendronach. My reasons are that there are 2 distilleries somewhere near to Marnoch Bridge (which is on the River Deveron). One of those produces a peated malt; clearly not that. Glendronach produces a sherry-scented malt – have a sniff of the Glen Marnoch and see. Also, the Glendronach distillery was mothballed for several years from the mid-nineties but has gone back into production recently. They have always been marketing the brand though. It would make sense for them to want to make space in the warehouses for the new production, so I think they will have done a deal with Aldi to shift the old stock. This means that the Glen Marnoch is an excellent bargain as, in my view, the Glendronach is a first-class dram across the various ages. 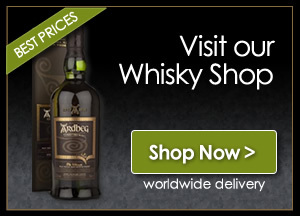 By-the-way, I emailed Glendronach to ask but, unsurprisingly, they didn’t reply.